Last week was a mother to digest. First the beloved fashion designer Kate Spade? And what’s to become of the global food scene without Anthony Bourdin to direct traffic? The man with such caustic, biting brilliance who had such a rich appetite for life? No one could even begin to replace this most empathetic of spokespersons for the world’s people, their food and their culture. His most recent documentary series, “Anthony Bourdain: Parts Unknown” premiered in 2013. 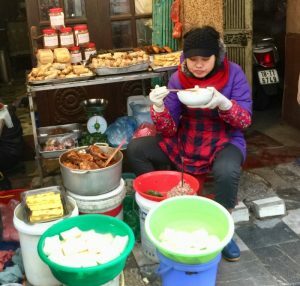 It won five Emmy Awards and a Peabody Award and, for this Bourdain groupie (who recently spent ten days in Hanoi delighting in the street food scene because her guru led the way), the documentary was aptly named. Parts unknown, indeed, Anthony Bourdain. Shattering. But back to the happiness that cooking can conjure. As Bourdain famously wrote in Kitchen Confidential: “Your body is not a temple, it’s an amusement park. Enjoy the ride.” I bought into that maxim many, many years ago. And when I returned to the South for a family reunion last mongh–when the skillets started sizzling and my tongue begged loosening–I welcomed the grease flowing through my veins and bourbon burnishing my soul. Classic Southern soul-food and beverage don’t conjure notions of mindful moderation and stoic sobriety. And I didn’t stop there. After returning to Michigan, Memorial Day rolled around. Sure. I could have made some summery salads and lean grilled meats but the caravan wasn’t stopping. 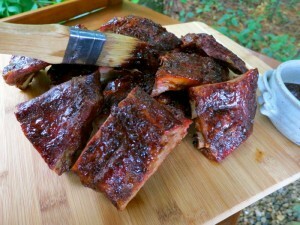 On a fat-lovin high, I was livin’ in the moment, adding that extra tablespoon of mayo to make that tater salad just right and sucking fatty ribs from the bone. “Vegetarians are the enemy of everything good and decent in the human spirit,” Bourdain wrote in “Kitchen Confidential,” and went on to describe vegans as vegetarians’ “Hezbollah-like splinter faction.” He threw political correctness out of the kitchen with every breath he drew and that, in part, is why this woman loves him. His writings have always invited reflection into the USA’s love/hate relationship with food and have inspired my culinary musings and practices for decades. The word diet, for example, to me means denial. Just that one, four-letter word sets off cravings for fried foods, buttery breads and creme brûlée. It’s not in my vocabulary. So it follows I’m not beating myself up for the excess baggage I packed around my midriff in the past month. Just sayin’ I’m feeling sluggish and the word––reboot–– is a part of my vocabulary. 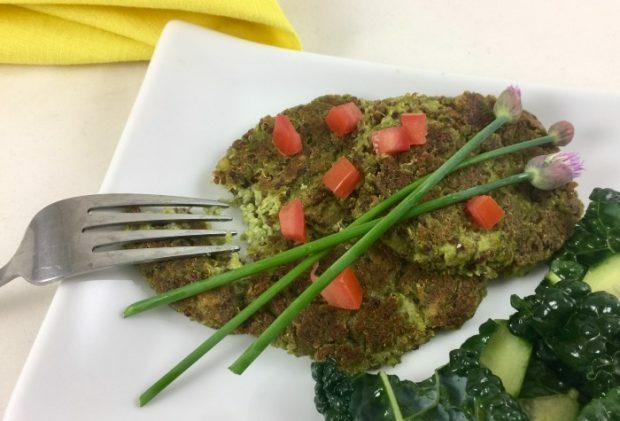 The following bean fritter recipe is Vegan, part of the Hezbollah-like splinter faction of recipes (-: Lucky for me, I find veggie recipes an amusement park for my body, just as I do a well-marbled rib-eye. Here are some other recipes I intend to shuffle (until the Fourth of July when I’ve got some brisket and fatty-laced fixings planned). Quinoa with Black Beans, Avocado and Corn, Curried Couscous-Lentil Salad with Roasted Sweet Potatoes, Lemony Quinoa and Chickpea Salad with Crunchy Vegetables, Quinao Salad with Shrimp and Eggplant, Potato, Radish and Cucumber Salad with Yogurt Dressing, Roasted Broccoli and Farro Salad with Feta. 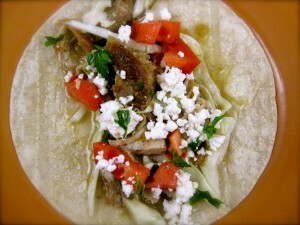 To balance the scales with all of these rosy-cheeked recipes, allow me to present a recipe for Pork Belly Tacos. It’s in respect and reverence of the man who taught us so much about our world’s people and cultures who, in the end, chose to leave us behind. Process tofu and flour until smooth. Add cumin, garlic, quinoa, peas, snipped chives and pulse until combined. Season to taste with kosher salt and freshly ground pepper. In a large skillet, heat 2-3 tablespoons oil over medium heat. 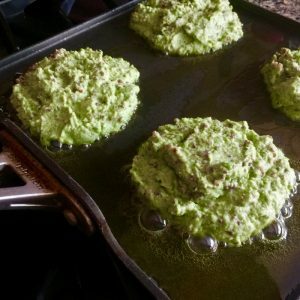 Shape pea mixture into 4 patties. 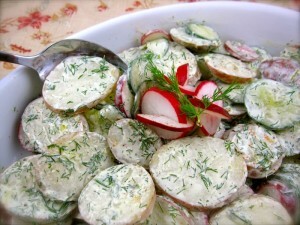 (They will firm up as they cook.) Add patties to skillet and cook until browned on bottom, 6-9 minutes. Adjust heat so the patties cook but do not burn. When fritters have browned on bottom, with a spatula, carefully turn and cook until nicely browned on both sides. Some great uplifting tips and treat recipes, after such a shockingly sad week. Let’s all enjoy and care for our amusement parks! Well put, Alison! Amusement parks need maintenance! What a great burst of enthusiasm and well-chosen words! The missive ending with a bright surprise: pork belly tacos festooned in red peppers. Northerner that I am, I can hardly imagine but I want to taste for sure. Thanks, as always, Peggy for good cheer and a great slant on people and food. Oh, wait. I just read Alison’s comment – I had already forgotten about your words and AB’s comment re bodies and amusement parks. How could I? A carnival blog. Thanks. Thanks, Tania! It’s always my pleasure to amuse (-: Life is certainly a carnival–often the clowns are frightening but the missive is to plow through this life the best we can with all the joy we can muster!